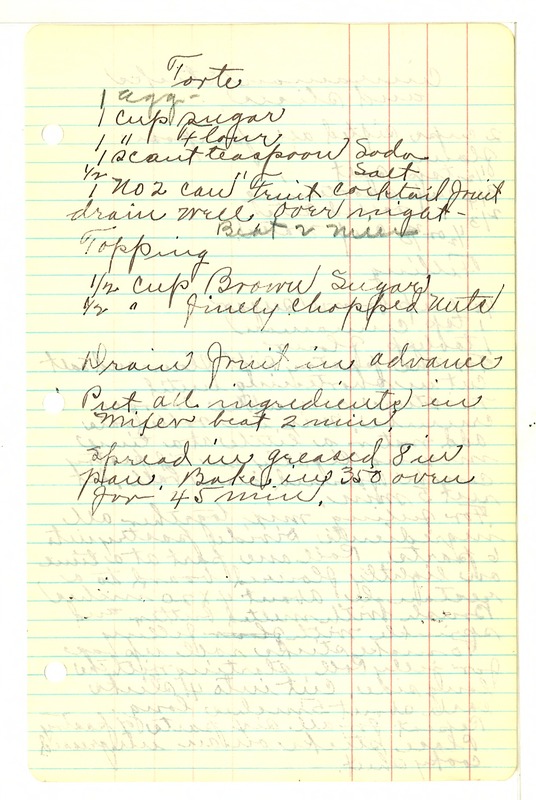 Torte 1 egg 1 cup sugar 1 " Flour 1 scant teaspoon Soda 1/2 " salt 1 No 2 can Fruit cocktail fruit drain well over night Beat two min Topping 1/2 cup Brown Sugar 1/2 " finely chopped nuts Drain fruit in advance Put all ingredients in mixer beat 2 min. Spread in greased 8 in pan. Bake in 350 oven for 45 min.